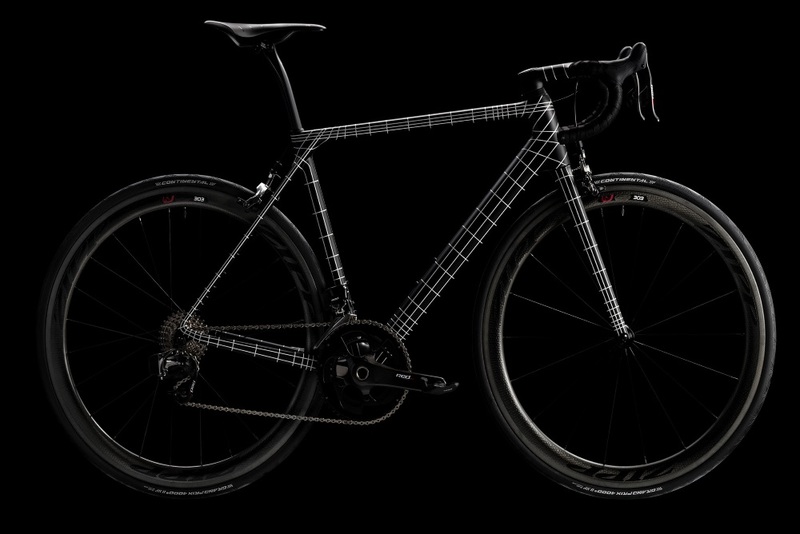 Canyon Bicycles pay homage to Kraftwerk, a German electronic band founded in 1969, with their newest limited-edition electronic bike, the Ultimate CF SLX Kraftwerk. The bike model will have a SRAM wireless eTap groupset installed—a gear-shifting system that uses electronic switches instead of the standard mechanical structure found on a traditional bicycle. With this system in place, a rider can place Blips—tiny shifting buttons—anywhere along their handlebars to switch gears. The black frame was hand-wrapped in white reflective tape to honor one of the band’s founding members, Ralf Hütter. Canyon Bicycles only produced 21 models of the Ultimate CF SLX Kraftwerk, each with a price tag of €10,000 which converts to $11,411.90.